Speaking from personal experience, fathers can serve as style inspirations in more ways than the purely aesthetic. They shape who we are, who we will become; and if style is an expression of self then their influence cannot be overstated. One’s character will always say more about a person than their clothes ever will; and it’s better to be influenced by a good father than a good-looking one (or so my dad says). However the father who is both is the exception. 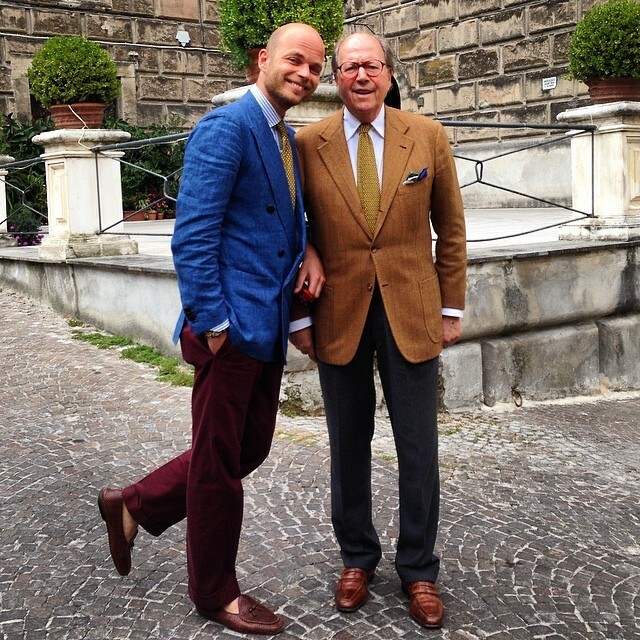 So without further ado, here are my picks of the most stylish dads in the sartorial kingdom. 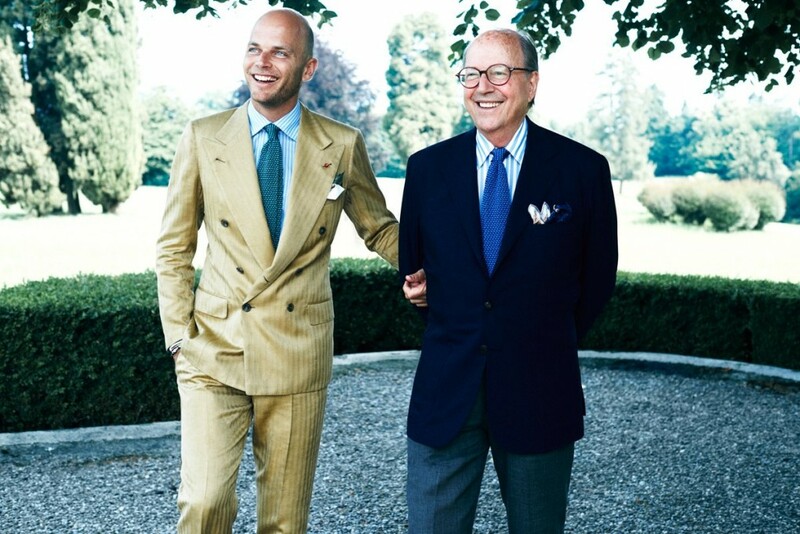 Mariano Rubinacci (right) looks like he has never seen a “camera” before with his son Luca (left). 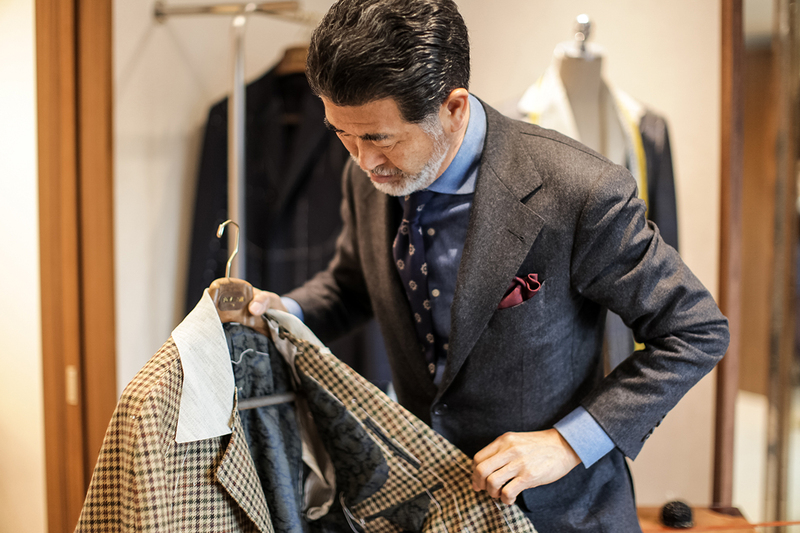 A father who is as well put together as his compositions, Mariano Rubinacci is the current patriarch of the Neapolitan Rubinacci tailoring dynasty, and father to sartorial superstar Luca Rubinacci. Hyperreal splashes of colour are as emblematic of the older Rubinacci’s Continental style as it is his son’s. 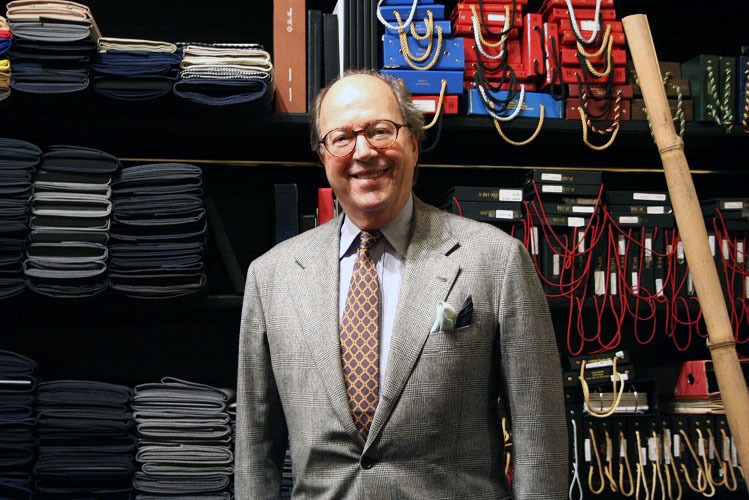 Complementing this is Mariano’s penchant for casual accessories such as knitted and untipped ties, and vacation footwear such as espardrilles and tassel loafers, which evoke visions of bachannalias in Napoli. Those aspiring to emulate the older Rubinacci’s style should take note of his distinctive use of solids which keep his colourful compositions grounded. A judicious use of solids allows the older Rubinacci to keep his colourful compositions grounded. Note the subtle glen plaid pattern of the suit which provides muted complexity. Jung Yul Park’s affinity for medallion prints add aristocratic dignity to his robust ensembles. Asian fathers are notorious for demanding that their children pursue careers which provide little room for creative expression (mine used to be). 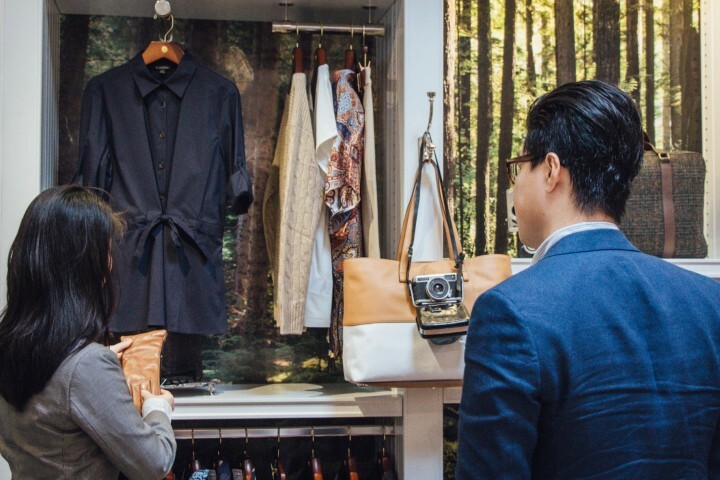 But Jung Yul Park, founder of B&Tailor and father to steezy Asian tailor Changwoo Park, is far from the stereotypical Asian patriarch. Park’s style (K)pops (couldn’t help myself). Aristocratic motifs recur throughout Park’s sartorial sonatas: paisley and medallion prints feature prominently in his choice of accessories, standing harmoniously against the backdrop of his Neapolitan influenced house cut. Preferring to let the details speak for themselves, Park appreciates the projective power of the understatement, a trait he has passed down to his sons. 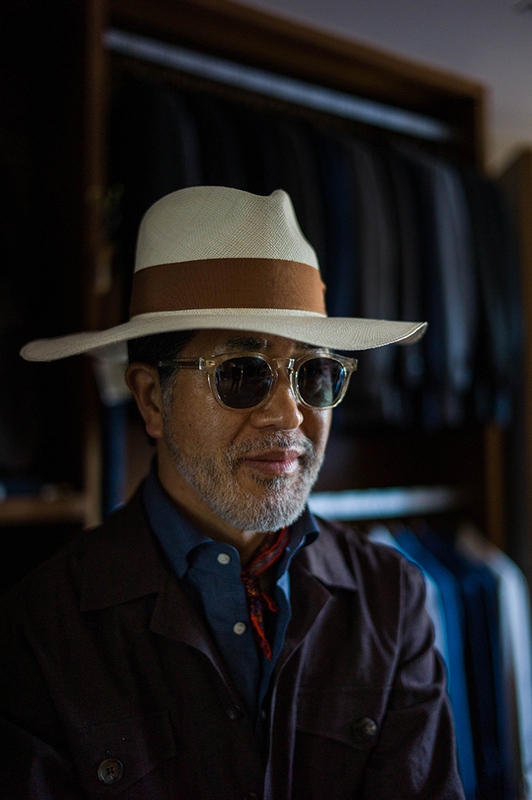 Dignified pensiveness is the sartorial legacy that this godfather of Korean sartorial style leaves trailing behind him. 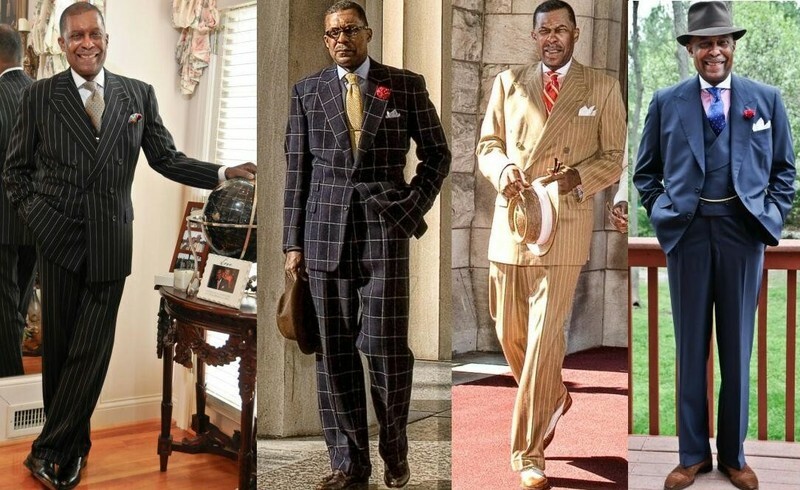 Dr Andre Churchwell’s style is bold without being brash — grand without being gratuitous. My familiarity with Manet’s ‘The Absinthe Drinker’, had me believing that the dandy was a morally destitute hedonist. That was until I discovered Dr Andre Churchwell. Associate dean for Diversity for Vanderbilt University, a practicing cardiologist (Associate Professor of Medicine (Cardiology)) and father of three, Dr Churchwell is as remarkable a man as he is as a father. Amorous charm best describes Dr Churchwell’s style which celebrates the joy of dressing for yourself without appearing gratuitous or self-indulgent. 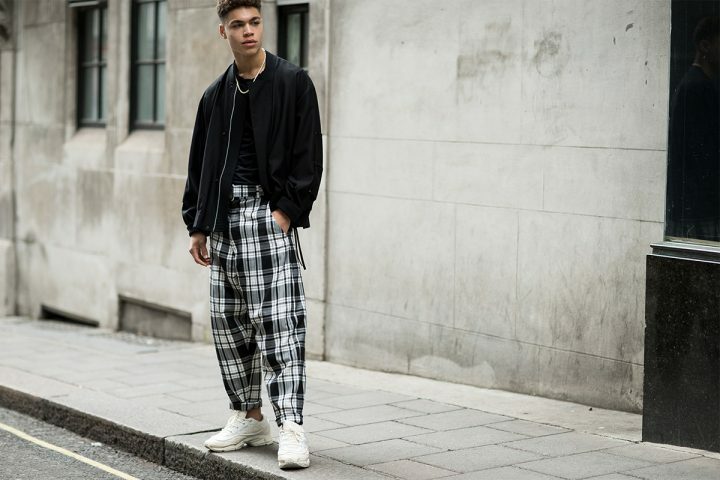 Focused compositions are brought to satisfying climaxes with intelligent colour and pattern progressions that recall his style icons Fred Astaire and Cary Grant. 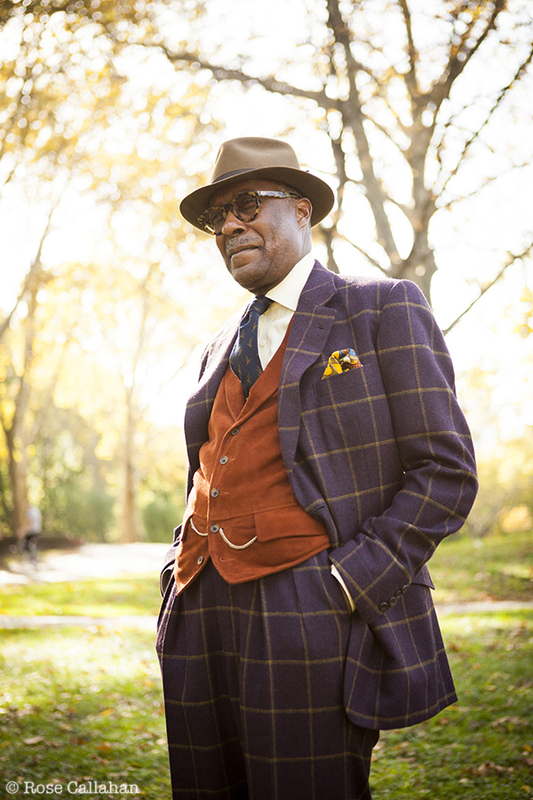 Dr Churchwell’s prescription for an autumn morning: swag. Ye Olde Father is a master of classic sartorial combinations such as baggy Levi 501 jeans paired with New Balances. Paragons of integrity and dignity whether they’re tucking in Meat Loaf tees or rocking Norwegian Crocs, our fathers are proof that success is possible with hard work, a can-do attitude and a willingness to stick it to the man (provided it won’t be them). The nobility of their sartorial decisions are however secondary to their efforts to work overtime to pay off the mortgage, to put food on the table and to do right by their kids.